Clairton, Pennsylvania is home to less than 7,000 residents. It is probably best known for being the home of the Clairton Coke Works and was once known as the Coke Capital of the World. It is also known for being the home of the Clairton Bears, the local high school football, which had a 66 game winning streak that spanned 2009 to 2013. Clairton is one of the Monongahela river towns where the decline of the steel industry hit hard. Tucked onto two hilltops that overlook the river, train tracks, and the coke works, Clairton has seen more than its fair share of losses. More than a decade ago, the last grocery store in town closed. Now, there is positive momentum. Local residents, working through two committees: The Healthy Food, Social, and Human Services Committee and the Neighborhood Partnership Program Committee guided the development phase and ensured engagement by the residents of Clairton. The effort to get to opening day resulted from the efforts of two nonprofits, Economic Development South and Just Harvest. 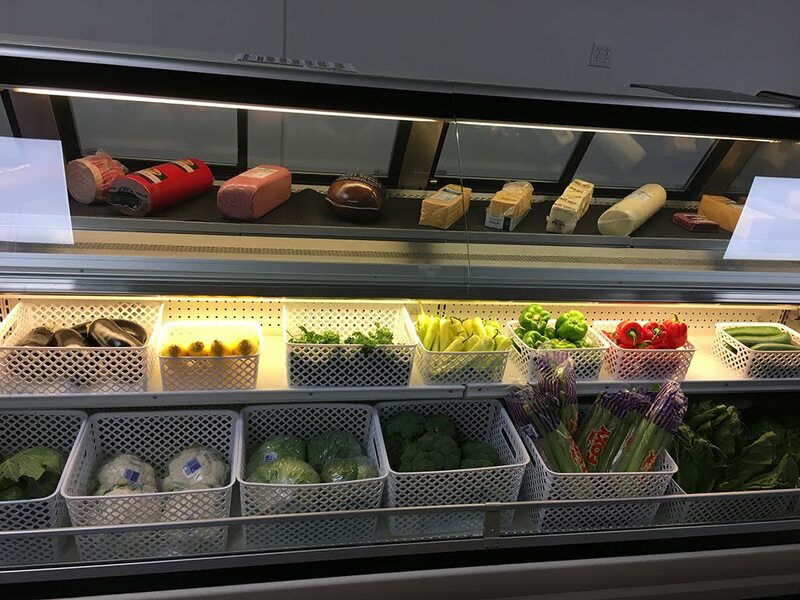 Funding for the store was provided by the Pennsylvania Department of Community & Economic Development’s Neighborhood Assistance Program(funded by BNY Mellon and Highmark), and Bridgeway Capital. Fourth Economy and Palo Alto Partners were engaged by Just Harvest to assess the financial viability of the fresh foods market planned by Economic Development South. We conducted a needs assessment to identify the areas of highest need in Clairton, combined with an opportunity assessment to identify the areas that would be most accessible to residents. We also conducted an evaluation of local expenditures and competing stores and to assess potential store locations in Clairton. Surveys of residents provided critical insights into what factors would make the store successful. The study estimated the potential sales that could be captured for different offerings. Finally, the study integrated all of these analyses into a business plan and operational model. The results of our analysis demonstrated that such a store would have a narrow path to sustainable break-even operations. Every scenario required some level of subsidy to overcome early operating losses. As a consulting team, we were downcast that we were not creative enough to find a sustainable, break-even solution. We were dreading when it came time to present the results to our project partners at Economic Development South and Just Harvest. 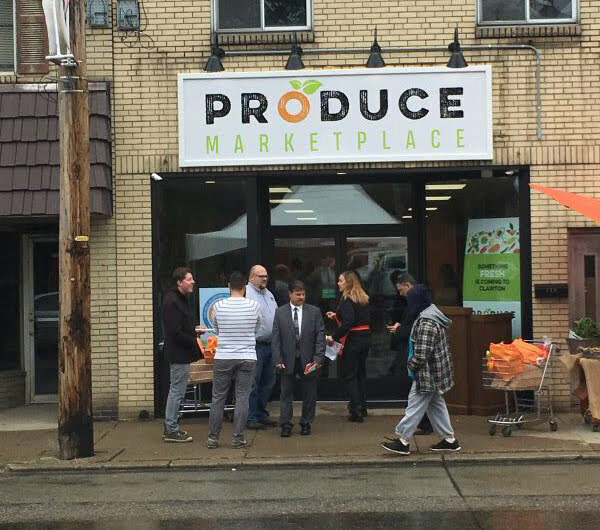 With the opening of Produce Marketplace, at 519 St. Clair Avenue, residents of Clairton will have access to affordable fresh foods all year round. It has been great to see this project come to life. It will be two or three years before we know that the store is sustainable, but the level of community engagement and interest to date provides a good leading indicator of the store’s viability. Dr Paytas is Vice President of Research and Analytics at Fourth Economy, which he founded in 2010 with Rich Overmoyer. He serves on the boards of Landmarks Development Corporation and the University of Pittsburgh Human Stem Cell Research Oversight Committee. Need a ride to the polls this Election Day? Make Port Authority Fares Fair for Allegheny County! Just Harvest News has the latest stories and exciting updates about local solutions to hunger. Monthly.